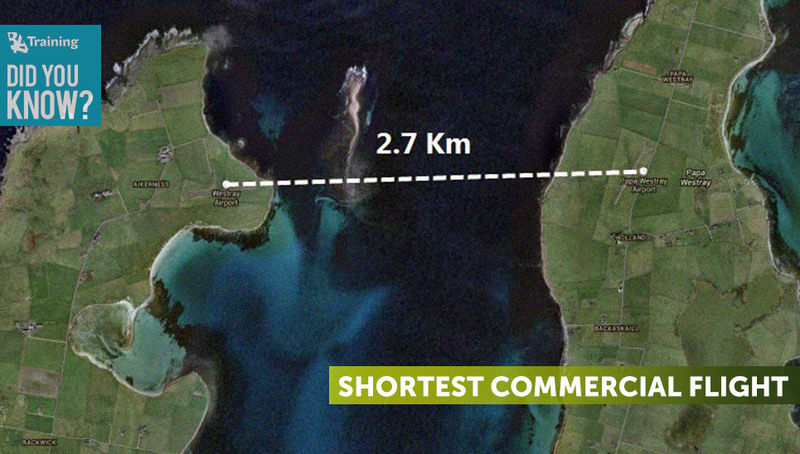 The shortest commercial flight takes place between the two Orkney Islands, Westray and Papa Westray. The distance between airports is 2.7 kilometers (1.7 miles). You can see your flight destination on another island before boarding the aircraft. The journey’s duration is officially set to be two minutes but it can take just 47 seconds under perfect weather conditions. Ticket cost for the shortest commercial flight is about 30$ per passenger. Just over 70 people and 60 archaeological sites live in the island of Papa Westray. As a result, these shortest commercial flights are used to get the education service from Orkney Islands. Other passengers of this flight are health staff and patients of the Scottish National Health Service. Another way to move between two islands is a ferry. However, it will take 20 minutes of your precious time!